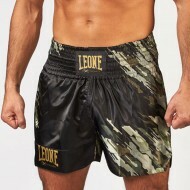 At Barbarians Fight Wear, we are proud to distribute throughout France, Alsace and Strasbourg the Italian brand Leone 1947, existing for more than 70 years. 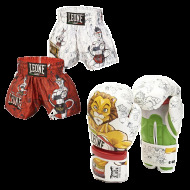 We offer several styles of short kick boxing. There is something for all ages: children with comic strip patterns, juniors, teens, adults, men and women. We have women's boxing trunks designed for female boxers with an elegant fit and perfectly adapted to the boxers' morphology. 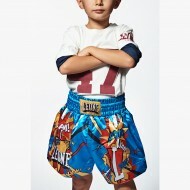 The cuts of our kickboxing shorts or trunks will also seduce the greatest number: long, short, flared or open. 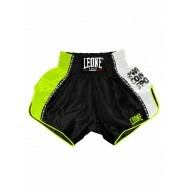 Our short kickboxing shorts are available in satin or polyester. All our models are available in several colors. 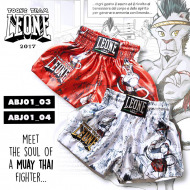 Our Thai boxing shorts and kick boxing will surely appeal to all boxers in use during training, boxing galas, fights or regional, national or international competitions. 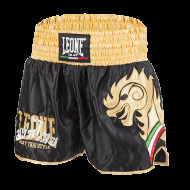 Our Thai boxing shorts and / or kickboxing shorts are elegant and at the same time unique, such as those designed by professional boxers themselves such as Giorgio Petrosyan's. Many are made entirely in Thailand with the utmost care and quality. The high quality of the non-slip elastic belts of our kickboxing shorts allow the boxers a good hold and a great freedom of movement even in the most intense phases of a training or a fight. 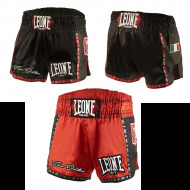 Our kickboxing shorts are also easily customizable allowing to affix the logo of the club or the first name of the boxer for a good communication. 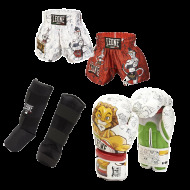 We have nice Thai boxing shorts and kickboxing shorts, with comic book miniatures for kids or more classic ones in black, red, green, camouflage, blue white, maori or gray. 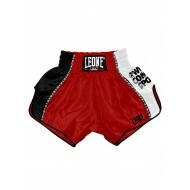 Our boxing short sizes also go from size XS to size XXL to allow all boxers to find their happiness. Our short kick boxing will be ideal for kick boxers but also for all other boxers practicing other disciplines such as K1, grappling, sanda, Chinese boxing or Thai boxing. 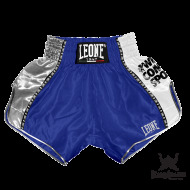 Train hard, hit harder with maximum comfort and flexibility in our Leone 1947 breathable and fluid competition boxing shorts. Our combat kick boxing shorts are made with lightweight microfiber fabric that will allow you to train and fight with comfort and ease, keeping perspiration and keeping you cool and dry even during the most intense workouts. difficult.